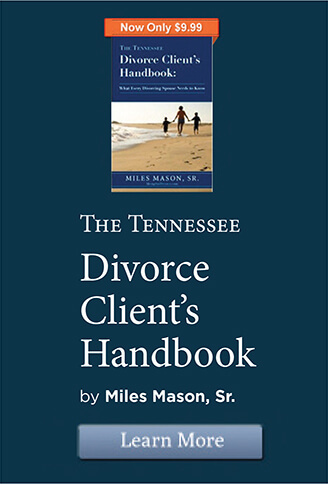 Determining income for child support in Tennessee, imputed income, income determination, calculation, self-employed, worksheet, gross, business expenses & tax returns. How will income be determined for purposes of setting child support in Tennessee? With child support, parental income can include more than just earnings from employment. What steps must you take to be sure all income is included? When both parents are legally responsible for supporting their children, each parent’s income is considered when calculating support obligations. Hi. I’m Miles Mason. 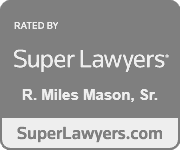 I’m a family lawyer and the founder of the Miles Mason Family Law Group. 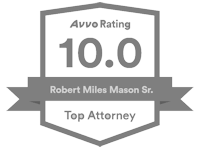 We represent clients in the greater Memphis, Collierville, and Germantown, Tennessee areas. In this video, I’ll explain how income is determined under the Tennessee Child Support Guidelines. You may want to print a copy of the Tennessee child support worksheets and guidelines and follow along. 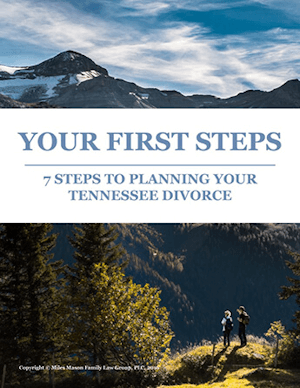 You have to begin with the State of Tennessee Child Support Worksheet. Your completed worksheet provides all the financial details a judge needs to enter child support orders in your case. Start there. Look it over. Get a feel for the information you and the other parent must disclose. What if there was a mistake? What if all the parent’s income wasn’t reported in the worksheet? What if a parent concealed income which was later brought to light? After-discovered income may be grounds to seek modification of the court’s child support order. Whether the court will modify the order will depend upon the circumstances. In every case, it’s always best to accurately assess income when child support is being established. Be diligent. Go the extra mile to get it right the first time. Trying to fix a support problem later on means lawyer fees, court costs, possible delays, and a good deal of stress. Step 1. Calculate each parent’s Monthly Gross Income. Both parents’ Monthly Gross Income must be reported in Part 2 of the worksheet. Gross income includes income from any source, whether that income is earned or unearned. Gross income is determined before taxes and other deductions are taken out. In Tennessee child support law, gross income is very inclusive and broadly defined. That’s to ensure the child benefits from the parents’ overall financial success. Here’s a rule of thumb that may be helpful. If there is a present or future financial benefit, then the source of that benefit may be considered income for child support. You need to be thoughtful with this. A good place to begin looking for income sources is the previous 2 to 5 year’s income tax returns, W-2s, and supporting documents for the tax returns. Also, try and obtain and review the current year-to-date pay stub. But income tax returns seldom provide the whole story. Alimony or maintenance received from other persons who are not party to the proceeding currently before the court. Of course, many people are self-employed. From work as an independent contractor or consultant. From sales of goods or services. And independent income from any other source. Again, you’ll need the parent’s tax returns for the previous 2-5 years. Income from self-employment includes earnings as a sole proprietor, as a partner in a partnership, as owner of a corporation or similar business, and as owner of rental property. When the parent is a sole proprietor, look at Schedule C to IRS Form 1040. He or she may have Form 1099s from customers, businesses, and clients who paid the parent over $600 for work performed. If the parent is a partner in a partnership, look at Form K-1 setting forth his or her portion of income, loss, and deductions of the partnership. Also look for Form 1065, that’s the partnership’s tax return. If the parent owns a corporation, income from C-corps, S-corps, LLCs, PCs, and other variants is still considered self-employment income. Look for Form K-1 issued by the business to the parent as owner. When the parent owns rental property, look at IRS Schedule E for rental income. Once you have self-employment income, you need to deduct reasonable and customary business expenses. Gross income from self-employment is reduced by the ordinary, reasonable expenses necessary to produce that income. Some things aren’t obvious. The self-employed parent might receive a paycheck and draw money from the company, defer income, or receive income disguised as company perks. If these benefits exceed reasonable and customary business expenses, they could be included as income in calculating child support. Allowable deductions under the guidelines differ from deductable expenses for income tax purposes. Items that are not ordinary and reasonable expenses include excessive expenses for promotion, travel, vehicle use, personal expenses, depreciation on equipment, the cost of operating a home office, and amounts the IRS allowed for accelerated depreciation or investment tax credits. Under the Guidelines, amounts deducted on an income tax return as a depreciation can be added back into income when calculating child support depending on the circumstances. Of course, you’ll need accurate financial records. Once you have those records, first focus on gross receipts showing the revenue received by the business. Gross receipts could differ from what was reported on the tax returns. If gross receipts are proven to have been under-reported by the other parent then, arguably, child support should be calculated with a gross income above any strict computation using income tax returns. Self-employment income is difficult to determine and there are always exceptions. Be sure to discuss this with your lawyer. Okay. I just listed what IS included in gross income. And any Adoption assistance benefits (for example, the Federal Adoption Tax Credit or State Adoption Tax Credit). Now, that you have your Gross Monthly Income, determine if credits will reduce that amount. Step 2. Deduct credits to reduce gross income. Credit for a child who doesn’t live in the parent’s home, yet is receiving support from the other parent. But not under court order and not a step-child. A word of caution. There’s no credit available for overdue child support, or arrearages. After deducting any credits that apply to your specific circumstances, the result is the Adjusted Gross Income or AGI. Once you have an AGI calculated for both parents, you’ve completed Part 2 of the Child Support Worksheet. There is one more step, though. What will the court do if a parent’s reported income is not what it should be? Step 3. When is income imputed to a parent? If either parent is voluntarily underemployed or voluntarily unemployed, then the court may Impute Income to that person. When there is insufficient proof of a parent’s income, the court may assign income to that person based on State per capita income. Imputed income, however, will never be less than minimum wage. In the alternative, the court may reverse-engineer a parent’s income by looking closely at the lifestyle the person enjoys. Knowing historic spending patterns will help the court impute income when necessary. For example, a luxury car leased by the business for the parent’s benefit could result in the court imputing the lease paid as income to the parent. In conclusion, determining your income and the other parent’s income in the child support case will always require this three-step process. First, use the income source checklist to identify all sources of income as defined by the Guidelines. Second, subtract any applicable credits from the parent’s gross income. And third, prepare for the court to impute income to a parent who is voluntarily underemployed or unemployed. Worksheets to download along with the Guidelines. Finally, consider getting my book, Tennessee Parenting Plans and Child Support Worksheets: Building a Constructive Future for Your Family. The book walks you through the child support process from beginning to end. Examples of parenting plans and child support worksheets from real cases are included. Can Cash Business Owners Hide Income to Lower Tennessee Child Support?